Kingston’s Flash Customisation programme offers a wide range of options, including co-logo, custom art, insert/casing, custom content and much more, on select drives. Whether you’re ordering a large quantity for your entire organisation or personalising a few drives for your soccer team, now your favourite Kingston products can make a unique statement. 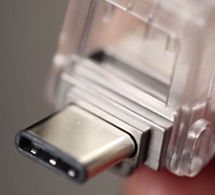 What is USB 3.1 Gen 1 (USB 3.0)? 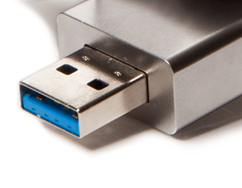 The next generation in Flash drive performance, USB 3.1 Gen 1 is the next major revision to the Universal Serial Bus (USB). It offers the same ease-of-use and plug-and-play capabilities as previous generations of USB technologies – with a 10X performance increase and better power management. 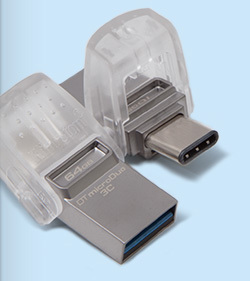 Kingston’s DataTraveler Type-C USB drives provide storage in a small, convenient form factor for devices with USB Type-C ports. 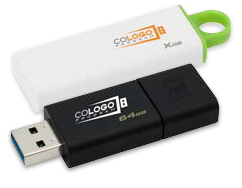 These Flash drives are also compatible with existing USB 2.0 and 3.0 Type-A ports found on PCs, tablets and other devices. 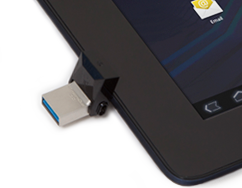 Kingston’s DataTraveler microDuo USB Flash drive provides storage in a small, convenient form factor for Android® tablets and smartphones that support USB OTG (On-The-Go). OTG drives function just like a standard Flash drive and are easier and more convenient than using cloud services.